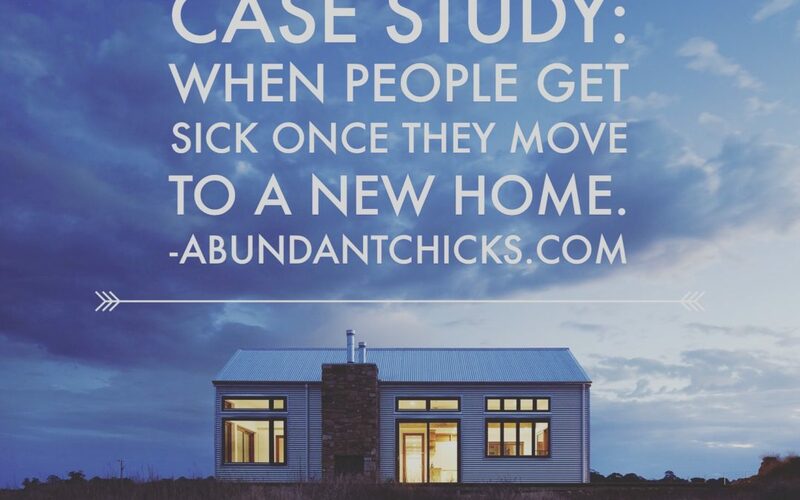 Recently I worked on a case where my client started to get sick right after moving into a new apartment where she rented a room and was living with a married couple. She said she wasn’t feeling well there at all. As I checked the energy of the place remotely, the first message I received was that it was extremely noisy there. The second message was about the energy of the married couple, which felt toxic. I was told that they only rented out a room because they needed the money, not because they wanted someone living there. And this reflected in their attitude towards my client and the overall energy of the apartment. On top, I found two earthbound spirits in my client’s room: an elderly lady who slept at the right side of the bed, and a child. The elderly lady was an ancestor of the landlords and felt it was her home too. The child spirit, on the other hand, felt distressed as it couldn’t find its family anymore. It was confused, not knowing it was dead, nor where to go or what to do. I sent both spirits to the light. I also found “trapped emotions” in her room, which didn’t belong to her, but to the previous tenant who had lived there. Emotions are just energy, so when we have a lot of emotional pain, emotional outburst etc, that energy will stay in the room. That’s why it’s so important to perform an energetic space clearing when moving to a new place, as one never knows what was left behind energetically by previous tenants. In this case, the previous tenant had left a lot of “heartache” energy. I received a strong message to encourage my client to move out, in fact, and that she would move in with her boyfriend soon. When I called my client to discuss all of this, she confirmed that it’s an extremely noisy place, both outside, and inside too, as the boiler for the flat is inside her room. She also confirmed that the landlords are difficult to get along with and she felt indeed that they didn’t want her there. She then told me that she had suffered a lot of hair loss, and had an illness called alopecia. I asked her when this illness had started and she said December 2017. Then I asked her when she had moved into this flat and she said it was in September 2017, so only a few months before. It was clear to me, and to her, that this was related. The energy in that apartment was making her sick. And while I could clear the spirits and the old emotions away, the toxic energy coming from her landlords wouldn’t stop, nor would the overwhelming noise. She confirmed to me that she had been having conversations with her bf about moving in together somewhere else. If you are living in a place, sharing it with other people, know that their energy and attitude towards you can definitely impact your health. Earthbound spirits can also affect your health and well-being, and so does constant noise or old emotions being left by previous tenants. Are you interested in a Space Clearing yourself? Why not book a FREE 20 min chat with me to see if I can help you. More info about Space Clearing: Click here.